Robot Awareness: Isellia dreams of following in her father’s footsteps and becoming the greatest XR racer around, and popular media exploded with predictions of her success early on. The only problem? She never finished a race. Sponsors of the spaceship racing circuit quickly shied away from her after each race ended in calamity. 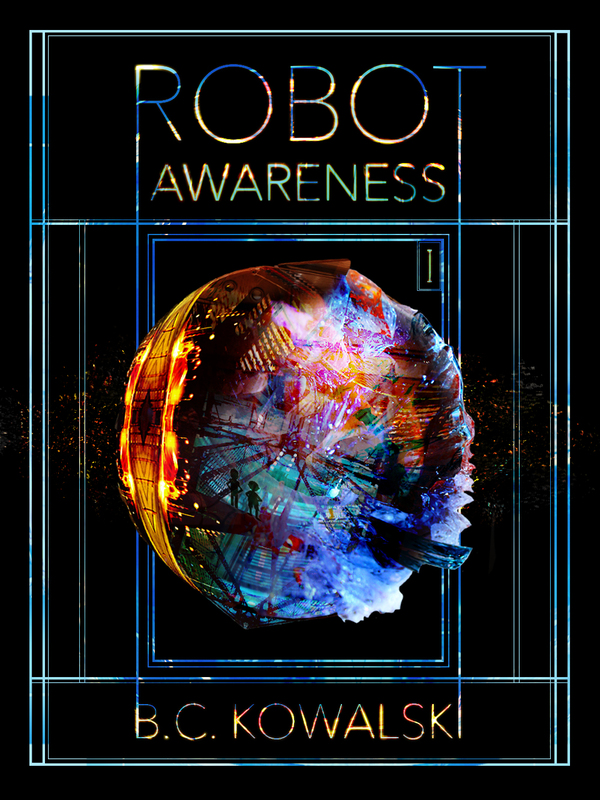 To earn money she teams up with a crew of smugglers (aHEM – Cargo transporters): Porter, a caring and protective man with a bit of a messiah complex; Joey, a boy they rescued from a mining planet; and the obtuse robot Joey repaired which now follows him around loyally. The crew barely makes ends meet and Isellia’s dreams appear to be on permanent hold until a pair of mysterious passengers introduce them to people and situations beyond their imagination. While Porter and the crew grow increasingly concerned what they’re being drawn into, Isellia could care less; this looks to finally be her shot at breaking into the XR circuit. 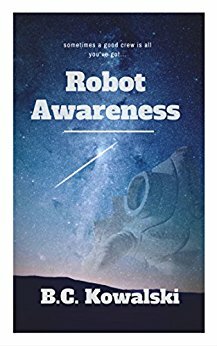 “If you love Cowboy Bebop, Star Wars, and the aforementioned Oban Star Racers, along with any and all westerns, then you will love Robot Awareness.” Amazon review. 4.3-star average. Release Date: Part I – Out now! ; Part II – Out Now! ; Part III – Out now! ; Part IV. The Sand Runner: On the planet of Baando, humans wage war with a species called the Veraqui, who possess a piece of technology rendering all other technology obsolete. In this primitive landscape, Gina and other sand runners like her serve as scouts, or basically military ultra-marathon runners. Gina gets the test of her life when she makes an important discovery that could horribly alter the course of the war, and more importantly, when her enemy discovers her. Point Blue: Oco likes to keep things simple. All he wants to do is drive his sled dogs, led by his beloved Arrow, deliver the mail from and to Point Blue, inhabited by his fellow light-blue skinned townfolk, and spend some free time with Anatel, with whom his relationship is somewhat ambiguous. But when a mysterious little girl who seems to pop in and out of existence appears in his cabin, Oco finds life is about to get much more complicated — for him, for Anatel, for the residents of Point Blue and for the entire area of the Frajenland. The Penguins on the Hill: In 1952, Ken Purdy walked into a Shinto temple in the port city of Sasebo. After watching and not being interested in Judo and Karate, and after it was made clear he was not welcome in the Kendo hall, Purdy watched men in white and black outfits throw each other again and again, rolling smoothly and regaining their feet. The penguins on the hill, as a fellow sailor told him. It’s unlikely he had any idea watching that day that he was starting a lifelong journey as one of the first Americans to learn the art of Aikido; a journey that would inspire generations of Aikido-ka after him. This is the story of Ken Purdy sensei. Memory Drift: A massive, civilization-destroying war left EC-2 adrift in space, floating endlessly as it recalls memories of its time with its owner, Ruby.